Terrorist contagion from Afghanistan could spill over into the states of Central Asia. This danger was discussed on March 14 in Moscow by the participants of the meeting of the Committee of the Chiefs of Staff of the Armed Forces of the Commonwealth of Independent States. Military delegations from Azerbaijan, Armenia, Belarus, Kazakhstan, Kyrgyzstan, Tajikistan and Uzbekistan arrived in Russia. The leitmotif of the meeting – in conditions when the international security system due to the fault of the USA is failing, you need to take a closer look at protecting the allied borders. At the very beginning of the meeting, the head of the Russian General Staff, Army General Valery Gerasimov, said: there are plenty of threats for the world to flare up in a series of conflicts. “The United States, backed by NATO, began dismantling strategic nuclear-missile agreements. Not without external influence in different parts of the planet, hot spots appear. In addition, international terrorism with the support of shadow sponsors is still a global threat to the world, ”said Valery Gerasimov. -The shortages that survived after the defeat of the main terrorist organizations in Syria, with the support of the United States, flow into Afghanistan. Taking into account the fact that Afghanistan borders on Uzbekistan, Tajikistan and Turkmenistan, plus border troops there are few, Islamists can penetrate the territory of the CIS. And there is already close to the territory of Russia. And this is a big problem, since it has already reached the level of the general staffs of the CIS. The threat to stability of the CIS countries also emanates from Washington, which has embarked on the destruction of the entire system of international security, including agreements in the field of strategic weapons. “We are witnessing the collapse of the international security system,” said Sergei Lebedev, Chairman of the Commonwealth Executive Committee, at a meeting of the Committee of Chiefs of Staff of the CIS Armed Forces. Under these conditions, the general staffs of the CIS member countries jointly reached a new level of military cooperation. 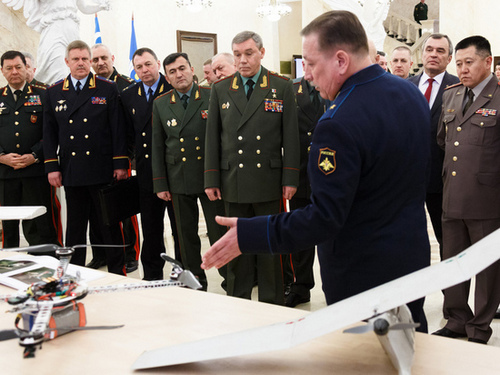 This concerns, in particular, the United Air Defense System of the CIS, the exchange of experience in the use of unmanned aircraft and engineering troops. Valery Gerasimov stressed that along with the preservation of the common vector and the dynamics of military cooperation, the CIS countries should not forget about the preservation of good-neighborly relations. Mutually beneficial cooperation, peace and regional stability will come along with them.